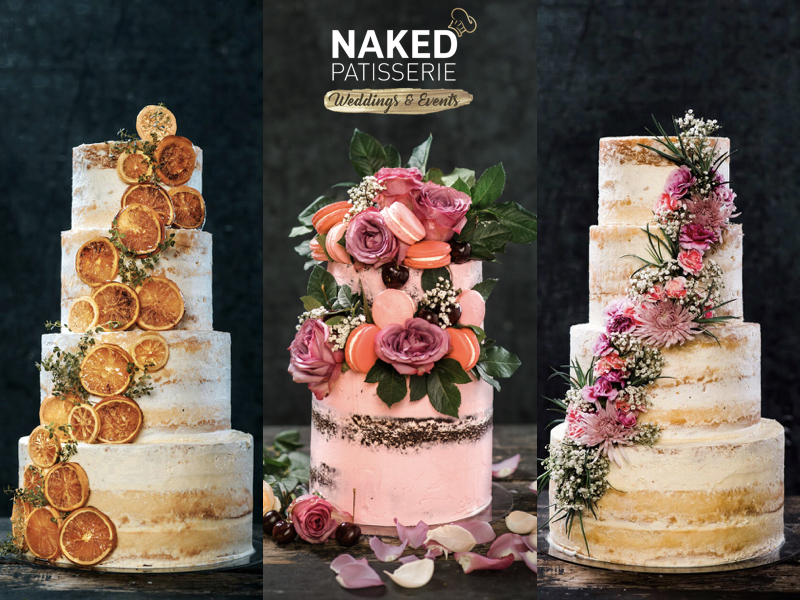 The 2019 Spring-Summer Collection from Naked Patisserie is out and this year is all about contrast and pops of color! 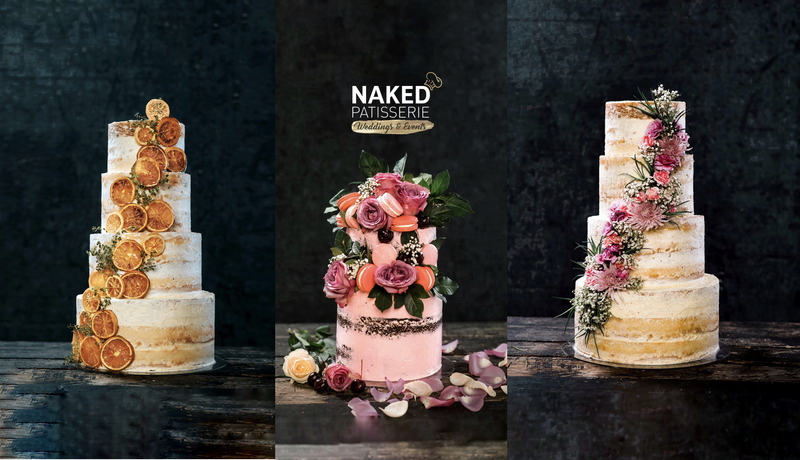 As always, Naked Patisserie cakes are inspired by nature and are known for being rustic and, most importantly, delicious! Nothing says summer more than citrus! 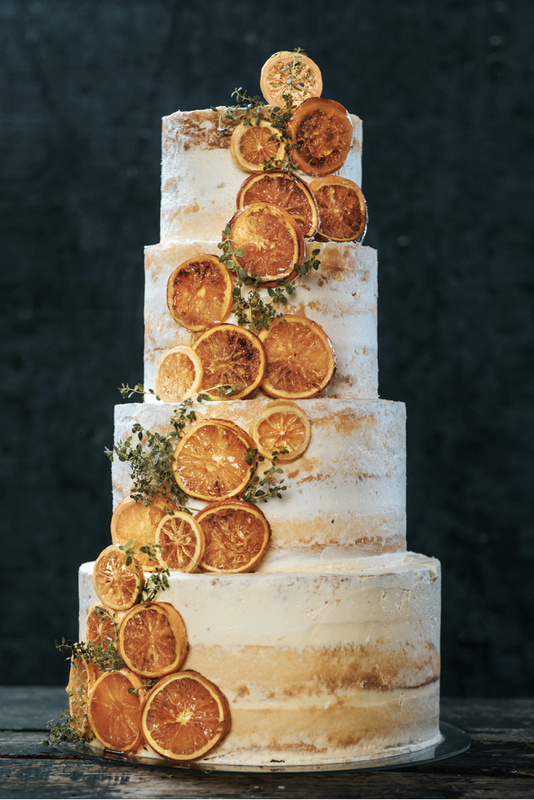 This 4-tier Naked cake soaked in limoncello and garnished with candies oranges, candied lemons and sprigs of fresh thyme is simply a ray of sunshine. Elizabeth Barrett Browning wrote, “How do I love thee? 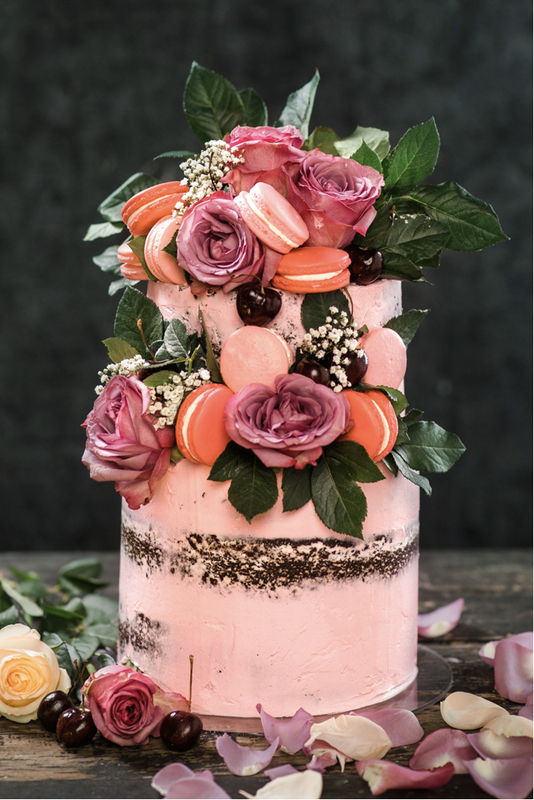 Let me count the ways.” That’s the inspiration behind “Mi Amor,” a 2-tier chocolate semi-naked cake with pastel pink frosting, embellished with 2-tones of pink strawberry macarons, Bing Cherries, roses and rose leaves. What’s not to love? 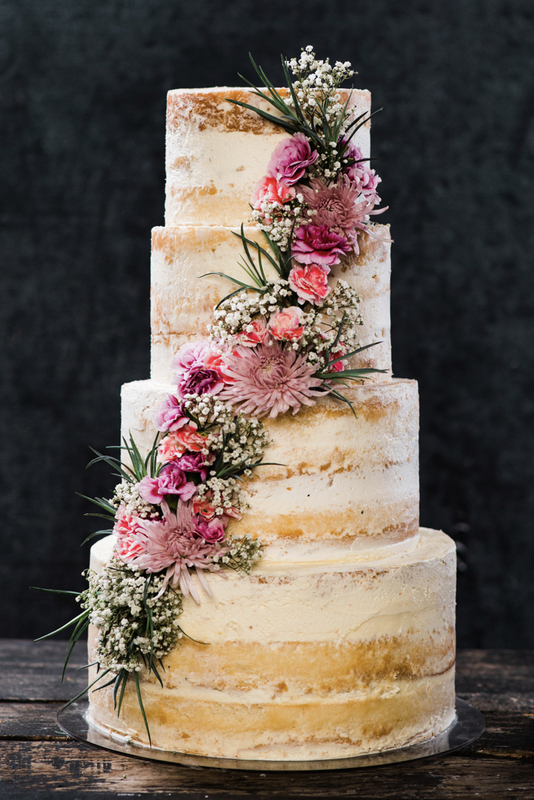 Jubiliee is a 4-tier semi-naked cake toweirng over 26 inches high, symbolizing the spirit of festivity, celebration and a life well lived. She wandered into the darkness and stumbled upon a big bad wolf, but this tale had a happy ending reminding us we can always find light. 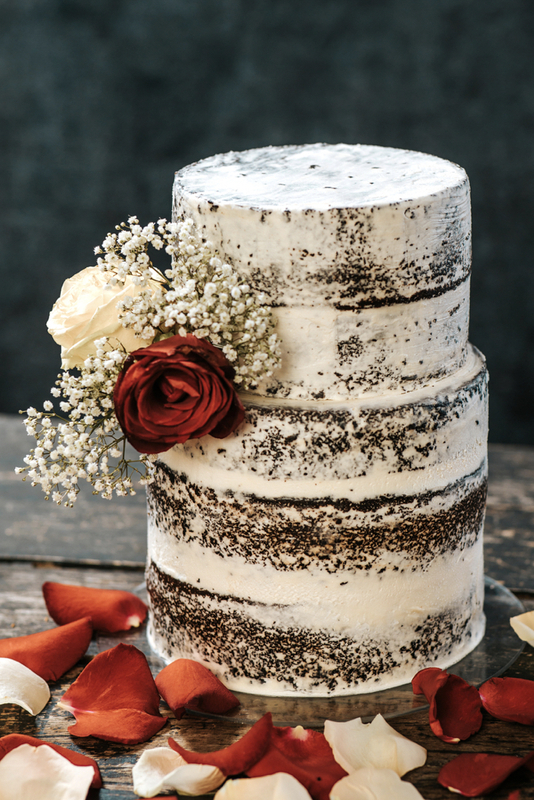 Little Red Riding Hood is a decadent 2-tier chocolate cake with chocolate ganache filling, finished with buttercream, Bangkok roses, and baby’s breath. Behind the stone walls there is a secret garden, where Mrs. Craven would spend hours planting roses in the springtime. 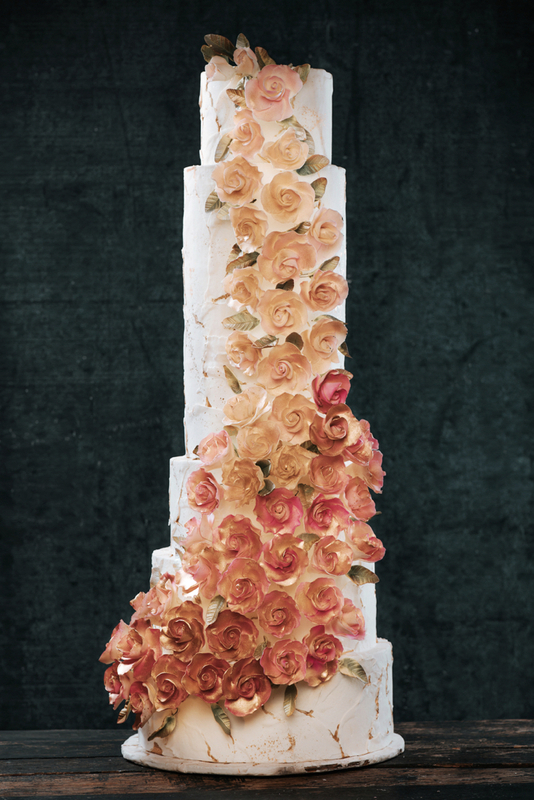 Secret Garden is a 4-feet tall textured fondant cake mimicking a stone wall with cascading lush pink roses. 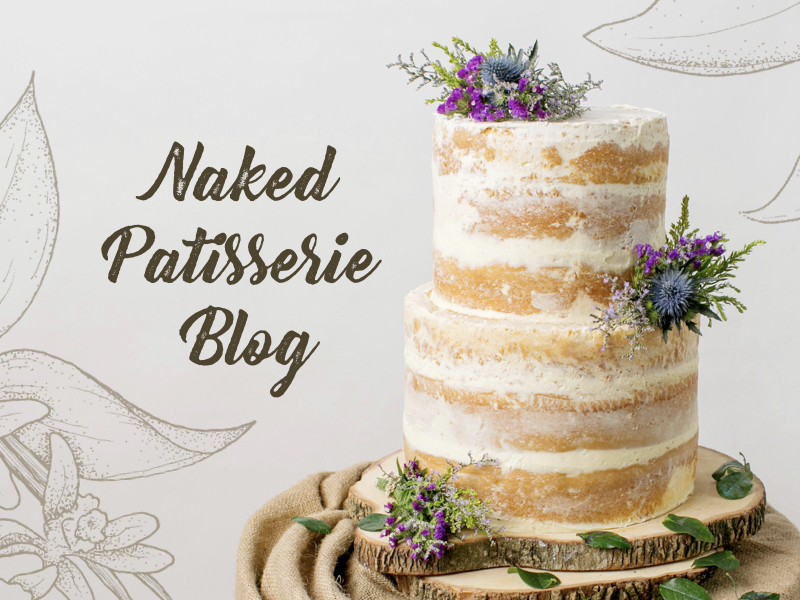 Perfect for garden weddings! 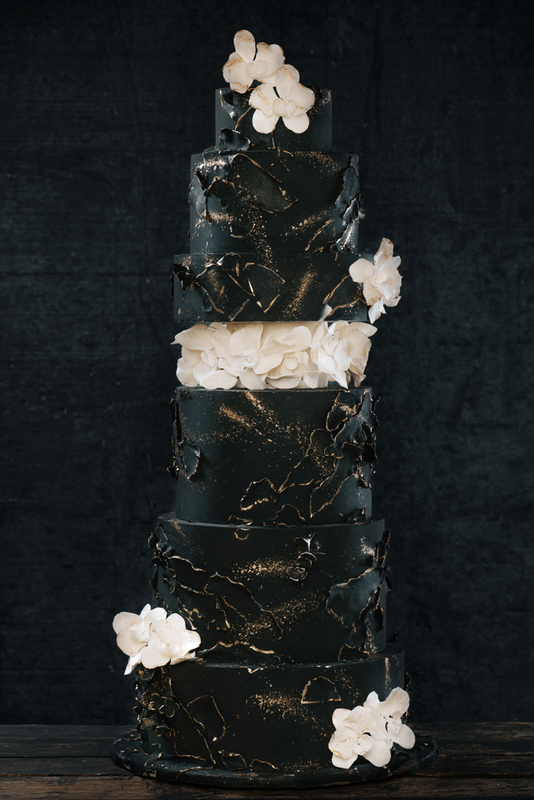 Galaxy is a 7-tier fondant cake that embodies the expansivness of our galaxy and reflects the stars that shine down on us on a summer’s night.